What would ordinary people do if they have the ability to walk through walls? 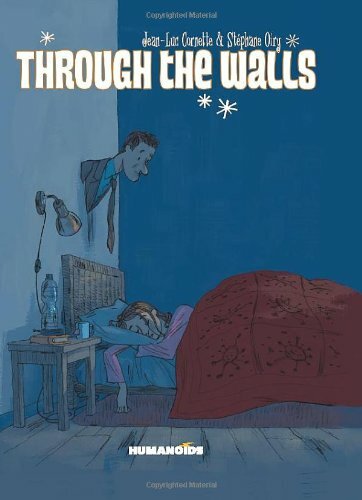 Through the Walls is a series of short comic stories that explore the lives of these special people. It's illustrated by Stephane Oiry and written by Jean-Luc Cornette. I like stories. In particular, I like how genuine the characters felt, the interactions between one another. Conversations are candid and often humorous. There are stories about love, friendship, and one is about loss. It's not focused on the special abilities, which only show occasionally, like when used to play pranks, like putting toilet papers into walls. I love the story about two street bums asking a lady for money, walking behind her talking about silly things before the tables are turned against them. Each story is a surprise and the endings are nice, but not always happy.